The gall wasp Andricus lignicola lays eggs into the leaf axil buds and terminal buds of English Oak and Sessile Oak causing scaly, marble like galls to form. These are often referred to as Cola-nut Galls. 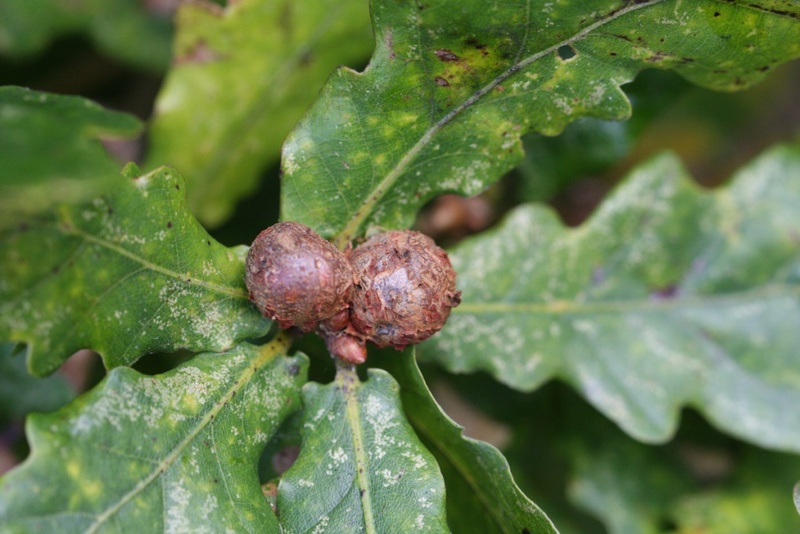 The galls are seen more often than the adult wasps. 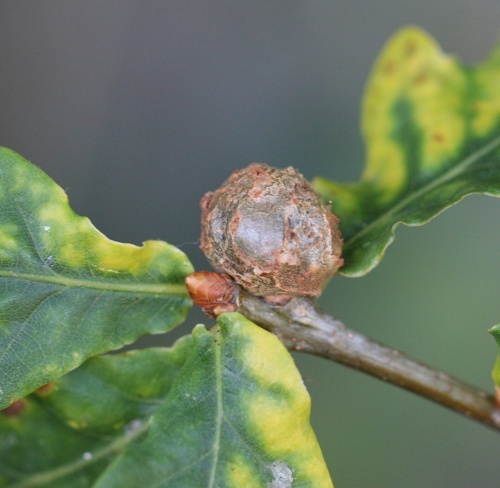 The galls are found in small groups, which however do not coalesce, helping to prevent misidentification with the Oak Marble Gall (Andricus kollari), in addition the shape is ovoid rather than spherical. 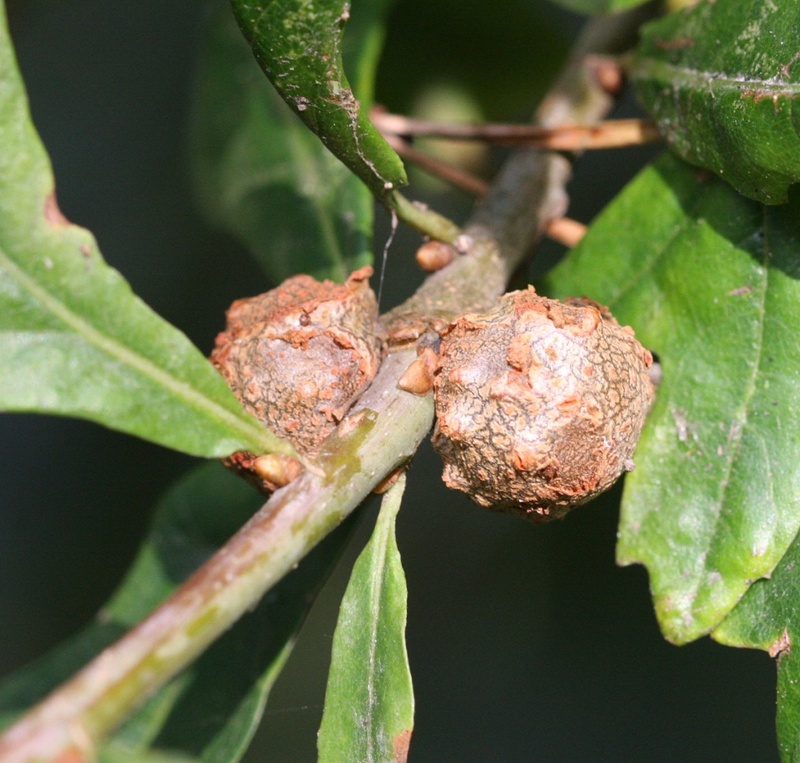 Scaly, grey at first, later brown; very hard; old galls persist for years; often in clusters of two to five; single chamber off-centre; exit hole always close to point of attachment. Galls are most likely to be found in early autumn, but may persist for years.